There’s no way anyone can talk about ancient civilization without bringing ancient Egypt into the picture. For over 3000 years, ancient Egypt stood as the world’s most civilized nation-state, spawning a series of rich-cultures and fascinating fields of study that grabbed the attention of great scholars in the likes of Pythagoras, Thales, and Empedocles among others. On a map, Ancient Egypt borders the Mediterranean Sea in the north, Israel in the east, Sudan in the south and Libya in the west. It covers a total area of 1,001,450 sq km. From their enthralling art and architecture to their fascinating burial methods, there’s more about this ancient community that will definitely make you close conventional history books to search for more information about their veiled facts. With that in mind, here are 10 things you’ve probably never heard about ancient Egypt. We all know ancient Egypt, but only a few of us know about Ancient Kemet—the original name of ancient Egypt. At a time when the whole world was completely uncivilized around 3,900BC, ancient Egypt had a well-developed religious system—commonly referred to as the mysteries, which turned out to be the first system of salvation, as well as the foothold of many religions that we would later come to have. Ancient Egyptian’s writing system consisted of pictograms—pictures that represented real words. Such pictures were extensively used in Egyptian’s tombs and a number of other places to tell the tales of war, culture and politics, all of which played a crucial role in making their ancient history believable. Over time, they started integrating other elements—such as alphabet-like characters—into their writing system, making it easy for them to scribble conceivable ideas and names for future generations. Although most of the ancient physicians were known for being a jack-of-all-trade, Egyptian doctors specialised by either focusing on a single disease or treating only a specific part of the body. That’s to say some of them could treat the eye, some the teeth, while a good number of them focused entirely on the belly and other parts of the body. In fact, each and every specialist had a specific name that clearly suggested his (or her) area of expertise to avoid creating confusion. Make-ups were won by both sexes in Ancient Egypt. Turns out, these make-ups were actually not worn for beauty like a great majority of you would like to think, but to protect them from their two fierce gods, Horus and Amun Ra. Usually, they could make the cosmetics by grinding ores, such as galena and malachite, after which they could apply them on their eyes, fingernails, cheeks and hands. Likewise, they could prepare perfumes from myrrh, cinnamon and oil, all of which they believed had magical powers to protect them from common ailments. 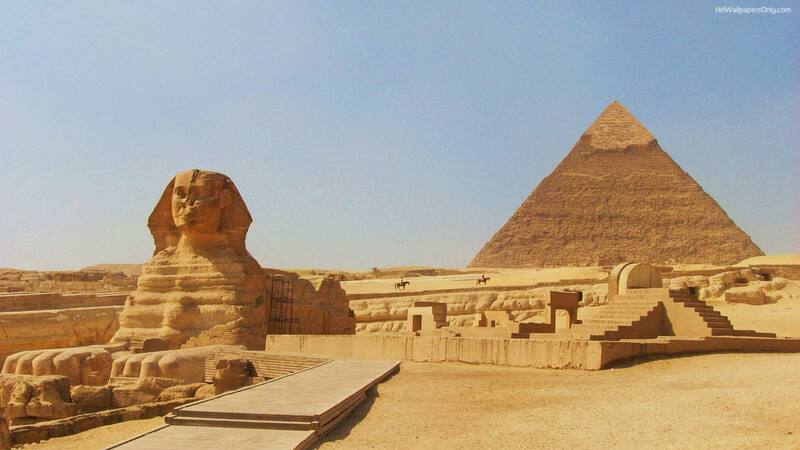 To date, no one has fully known how the ancient Egyptians actually built the Pyramid of Giza. To some, the pyramid must have been built by aliens. While to a great majority of the population, this ancient object of mystery must have been built by an army of ancient workers who took over 20 years to get the structure finalised. Either way, ancient Egyptians were in one way or another involved in getting the structure put together. As such, they are accredited for erecting one of the most astonishing architectural designs recorded in human history. If you’re surprised by the rate at which present time Egyptians go on strike, you’d be shocked to learn their forefathers did exactly the same over 5000 years back. To begin with, there’s the infamous strike that took place in 1200BC, during the reign of King Ramses III. As recorded, the entire nation-state went into total backlash as workers building the Royal necropolis in Deir El-Medina flocked into a nearby mortuary and refused to leave alive if the government didn’t give them a grain pay rise. 8. What killed Pharaoh Tut? If there’s an Egyptian Pharaoh that is well known—even by those who’ve never gotten the opportunity to go to school, then it ought to be Pharaoh Tutankhamen. But apparently, history has no records of his death. Until recently, when a group of Egyptologists came up with a theory that suggested he might have actually been killed by a hippopotamus. This claim takes into account his sudden disappearance from Egyptian’s burial process as well as his habit of hunting for sports, all of which suggested that he might have suffered a mysterious bite from a fuming hippopotamus. In an era where women were believed to be marginalised and universally discriminated against, Egyptian women enjoyed a tremendous amount of freedom. They could trade, serve as judges, enter into a legal contract and, even more surpassingly, make wills—unlike their Greek equals who were legally owned by their husbands. One of the most popular and interesting things about the ancient Egyptian culture is the religion. Egyptians believe in the existence of many gods that have different purposes, but Amun is seen as the king of the gods, the same position that was held by another god, Aten. Horus is probably one of the most important because he is seen as the god of the sky and the protector of the rulers of the country. Interestingly enough though, is that the Pharaohs were considered as the living Horus. Isis is the god that protects the people, Osiris is the ruler of the dead and the underworld while Anubis is the god of the dead, and Seth is the one that causes chaos. There is Nut is also another god that is regarded as the goddess of the sky. It is her body that covers the earth. Thoth is the god of knowledge. Ra is another god that has a high place among the people as the bringer of day or the sun god. Ra is said to be born every morning after being swallowed every night by the sky god, Nut. Ancient Egyptians presumed animals to be an incarnation of their gods. They, therefore, kept them as pets. Among them, cats were particularly the most preferred type of pets as they were believed to be in a close association with goddess Bastet. Other pet animals included ibises, lions, dogs, baboons, and hawks among others. In Ancient Egypt, the government and religion were tied closely together. They had a Pharoah as the head of state but the Pharoah also served as a divine representation of the gods on earth. The government and religion kept order in the society with the Pharoah being assisted by a hierarchy of advisors, priests, officials and administrators, who were responsible for the affairs of the state and the welfare of the people. Colors were a given in Ancient Egyptian clothing. The clothes were decorated with gems and jewels and the fashion was meant to help Egyptians keep cool while in the hot desert. Food often separated the rich from the poor. Where rich ancient Egyptians’ ate meat, fish from the Nile or poultry on a daily basis, the poorer Egyptians could only eat meat on special occasions. They also used wheat to make bread and barley to make beer. These were their major food fares. The economy of Ancient Egypt was built on trade. Goods traded ranged from gold, papyrus, linen, and grain for cedar wood, ebony, copper, iron, ivory, to lapis lazuli (a lovely blue gemstone.) They had ships that sailed up and down the Nile River, bringing goods to various ports.